28th November - Public debate on the Romanian General Elections, in Bern, Café Treff, part of the Romanian online campaign "Go to vote!" „RO-CHance“ is a project that wishes to promote Romanian cultural and competence resources, including Romanian language and culture as well as the image of Romania in Switzerland. „RO-CHance“ addresses itself to Swiss people interested in Romanian culture, language and life including history and traditions.  At the same time the platform seeks the audience of Romanian people belonging to the second generation living in Switzerland or neighbouring countries, who wish to refresh, improve or extend their knowledge of Romanian language and to (re) integrate values of Romanian tradition in their every day life. One of the main purposes of the platform is to build a bridge and enhance an experience exchange between Swiss charity organisations helping Romania and to support a better co-operation between them and in Romania. To offer opportunities for learning or expanding the knowledge of Romanian language for children and youth of the second generation who would like to rebuild relationships with Romanian language and culture. To initiate a cultural circle for Romanians of first and second generation. To promote a children section. To offer consulting services for Swiss organisations which are active in Romania, to organise experience exchange between them and intensify their connection with Romanian people living in Switzerland. To offer consulting services for tourism in Romania: a database is now under construction, any information is welcome. To create projects for Romanian women in Switzerland (with the support of ZONTA, an international organisation for improvement of the woman situation). To offer services of translation and publication of documents. „RO-CHance“ has as a leading principle the Swiss interest for continuous education and association activities that support and develop basic values as tolerance and integration. Romanian language courses. Reading circles. A youth and children section. Presentation of Romanian music and poetry (selection of poems from XVIII century until today) performed by Dorin Dragos, a Romanian actor at the National Theatre in Timisoara, who lives now in Switzerland together with a group of Swiss musicians specialised in Romanian music. One can hire this program for special events or simply enjoy the organised performances. On 15th – 16th May 2004, at the Künstlerhaus Gallery, Postgasse 20, 3011 Bern, there will be organised a week-end of initiation in Romanian contemporary art. The programme includes: an exhibition of works belonging to women artists, a presentation of the „RO-CHance“ projects, a literary coffee shop and a performance of Romanian music and poetry. If you like to have dinner on the 15th and lunch or dinner on the 16th we kindly ask you to register in advance. On the 3rd – 4th July 2004 is being organised another Romanian week-end including an exhibition of Romanian art, a presentation of projects of several charity organisation with and for Romania, a book-stand at Künstlerhaus and other events followed by a open air party by the Aare river. On 18th – 19th September 2004 at Villa Stucki in Bern, will take place a weekend of initiation in Romanian gastronomy as well as traditional dances and music. All those interested are warmly invited! To create a Romanian book collection. Together with state libraries in Romania, the Kornhausbibliothek in Bern, the EOS Bookstores in Timisoara, LibRomania and Voirol in Bern as well as the support of the Swiss Intercultural Libraries, we are in the process of building a collection of Romanian books including bilingual editions of classic and contemporary authors and books with or about Romania in all the Swiss official languages. Any suggestion or participation is welcome. There are being organised monthly meetings with and for Swiss people who wish to travel to Romania or start business there. We are very interested in any information or collaboration, especially in collecting addresses of agro-tourism, which have been verified. Drafting and publication of an easy reading collection of short storied in Romanian language. This publication will be the result of a literature contest organised in the University Centre of Timisoara. The book will be published together with a CD containing the texts read in Romanian and German. It will also include a glossary in four languages (the Swiss official languages and English) and exercises for language and vocabulary. In this project we enjoy the support of the Journalism and Romanian Language Sections at the West University in Timisoara, the company „Societatea Autocom“ and the bookstore EOS in Timisoara. Translation services from and into Romanian language as well as other languages, of documents, diplomas, and certificates. Legal and economical consulting services as well as any other schooling needed in order to initiate a Romanian-Swiss co-operation. All these projects represent the private initiative of Cornelia Saurer Dragos and Dorin Dragos. They are being financed from the funds representing the costs for language courses and translation services as well as the organised events. Each project has a detailed plan. People in Switzerland who participate in these projects work on a pro-bono basis. A part of the Romanian participation is being remunerated but the most part of it is also on a pro-bono basis. Any factual or material support is useful! We encourage and wait for your active participation!